What does cross in Miami look like AND we scored our first win. 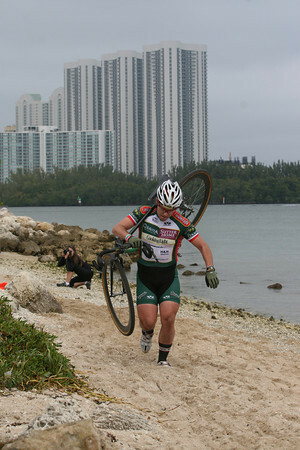 JP Russo scored the first win ever for JG Cycles this weekend at the cross race on key Biscayne. Wow! The race report had him opening a gap on the long beach about 1/2 through the race and holding the gap to the end. That’s the way to win a race atmo. Yeah, December with a short skinsuit with beach condo’s in the background. My Northern friends probably think cross racing in the most tropical part of the USA is sacreligious, but we’ll revisit that notion next January in Madison Wisconsin at the National Championships.